Trossbach Fuel has the honor of supplying diesel fuel for the boats, ships, large vessels and marine vehicles in Southern Maryland. Marine fuel transfers require professional, trained and careful personnel. Trossbach Fuel has the niche certifications needed for this job. We take pride in protecting Southern Maryland waterways as part of our daily job. We know and understand that many in the Southern Maryland region are dependent on this for their livelihood. Careful fueling of these vehicles means keeping the Chesapeake bay and surrounding waterways clean from any fuel contaminants. For high quality marine fuel, contact your representative at Trossbach Fuel: 301-994-3835. 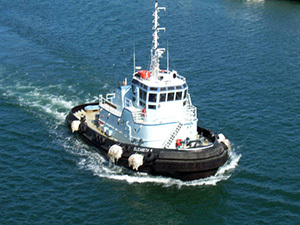 We’re Certified to Service Vessels Requiring Over 10,000 Gallons Of Fuel. So no matter what marine transportation you have when you need fuel, call Trossbach Fuel. We deliver fast, courteously and safely!